Elena Danilina is shown with her daughters, Maria Squalli and Rita Squalli, in Toronto in April, 2015. Ms. Danilina was separated from her children in 2018 when their father, Jay Squalli, took them on a plane to the United Arab Emirates, having claimed they were going to Morocco. Their case is one of several that illustrates the complex and flawed web of policies intended to remedy international child abductions. Naomi Buck is a Toronto-based freelance writer. At the time, I didn’t feel lucky. With a baby on each arm, I was ditched by my partner in Germany, where I’d been living for 12 years. It felt more like a crisis – and it was. But in retrospect, I realize that, in allowing me to return with our children to my native Toronto where my family waited with open arms, my ex spared me an acrimonious nightmare. Glück im Unglück, as the Germans say: luck in unluck. Most parents going through a separation are hard-pressed to compromise, let alone yield. Things can get even more complicated when international borders are involved. The predicament is more common as global mobility increases and it brings out the worst in a tiny subset of parents: the ones who decide that compromising and yielding are not for them. Who grab the children and leave the country. International child abductions are on the rise, especially in countries with high immigration rates. Global Affairs Canada is currently dealing with 187 cases. Applications to the Hague Convention, the multilateral treaty that applies to some international abduction cases, reached 2,730 in 2015, 102 of which involved Canada. Hague Convention expert Nigel Lowe says these figures would at least double if they were to include non-Convention cases. To examine the anatomy of an abduction is to watch the erosion of trust between adults turn into a heinous act that is remarkably difficult to undo. Left-behind parents can find themselves bumping up against the walls of international jurisdiction as their children disappear into foreign countries. There’s no way to put an end to this practice; it will persist as long as there are children and borders. But Canada can improve its handling of them. Time is of the essence in international child-abduction cases. The Hague Convention recommends they be dealt with within six weeks; applications made in Canada in 2015 were resolved, on average, in 129 days – roughly 12 weeks over target. A list of proposals presented to the government 20 years ago, aimed at expediting these cases, seems to have fallen through the cracks. The process remains riddled by delays and a reluctance on the part of the government to pull out all diplomatic stops when the course of justice is being perverted. These failures can prove catastrophic. While American psychologist Richard Warshak contends that most abducting parents “think they’re doing the right thing” – often expressed in terms of returning children to their rightful place in an idealized homeland where the other parent is superfluous – there is nothing right about this act. It is both illegal (in many jurisdictions, including Canada) and immoral. Most parents work hard to keep their children off the battlefield of marital discord; abducting parents place them directly in the line of fire. That’s where Elena Danilina’s daughters have been for the past year. 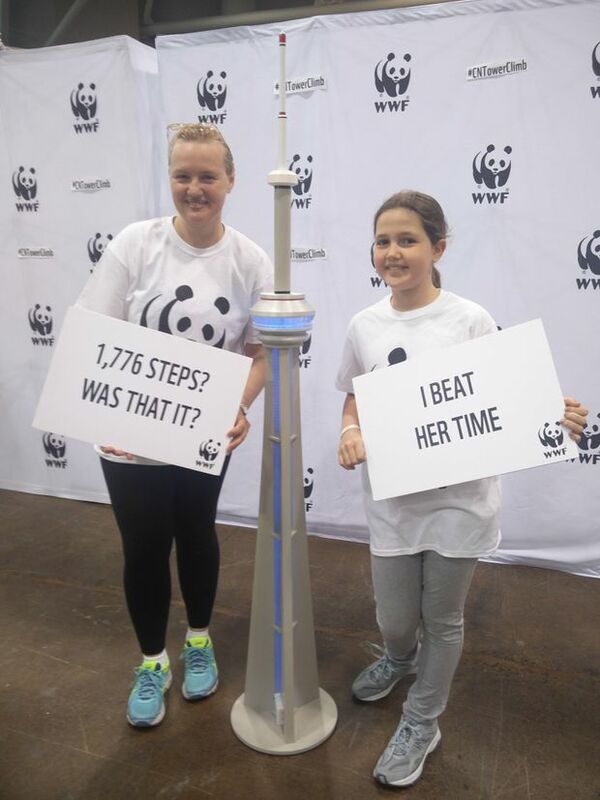 On April 7, 2018, as the 40-year-old mother was climbing the 1,776 steps of the CN tower, Ms. Danilina had a sinking feeling. She had planned to do the climb with her 10-year-old daughter Rita. But the day before, Rita and her younger sister Maria had boarded a plane with their father bound for his native Morocco, to pay an urgent visit to his ailing mother. Or so he said. As Ms. Danilina made her way up the tower, a grim realization took hold: The ailing grandmother was a ruse. When she got back to the ground, her phone began buzzing with a barrage of angry messages from her husband. There was no mention of their daughters or his mother. 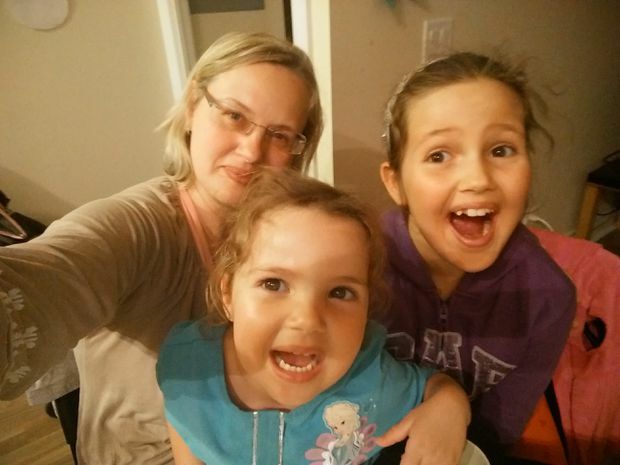 She went home, consulted the Canadian government’s online Guidebook for Left-Behind Parents, and took the first step: She went to the local police station and reported her worst fear – that the children had been abducted. Ms. Danilina and her elder daughter, Rita, at a charity climb of the CN Tower in April, 2017, a year before Rita and her sister were abducted. They planned to do the climb again the following year. Typical of international abduction cases, Ms. Danilina’s involves a complex web of citizenships and cultures. Ukrainian by birth, she began dating Jay Squalli, a Moroccan-born PhD student, while the two were studying the University of Delaware. After graduation, the couple moved with Mr. Squalli’s teaching jobs to Morocco, Dubai and finally Sharjah, one of the United Arab Emirates. Along the way, the couple got married and had two daughters. 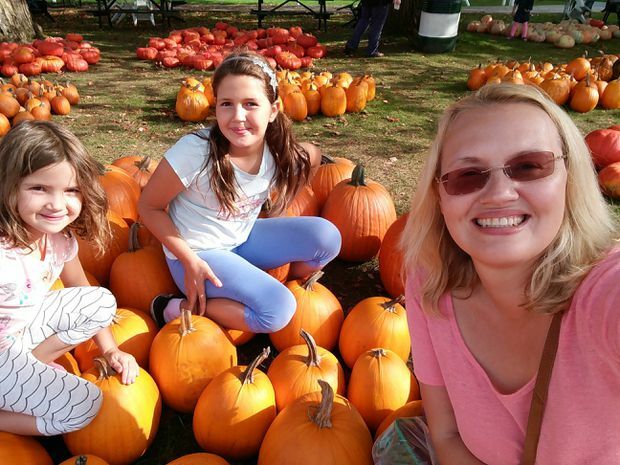 Maria, Rita and Ms. Danilina in Barrie in October, 2017. Meanwhile, due to his extended absence from Canada, Mr. Squalli lost his status as permanent resident. During his visit over Christmas of 2017, Ms. Danilina received a surprising call from her older daughter’s school; her husband had requested a transfer document. When asked, Mr. Squalli said he wanted to be prepared for an eventual change. She found that concerning. But four months later, when Mr. Squalli suddenly appeared in Toronto to grant his mother what sounded like a dying wish, Ms. Danilina obliged, packing a small carry-on bag for each girl and signing the standard authorization form the couple used whenever they travelled alone with their children – with the return date open. 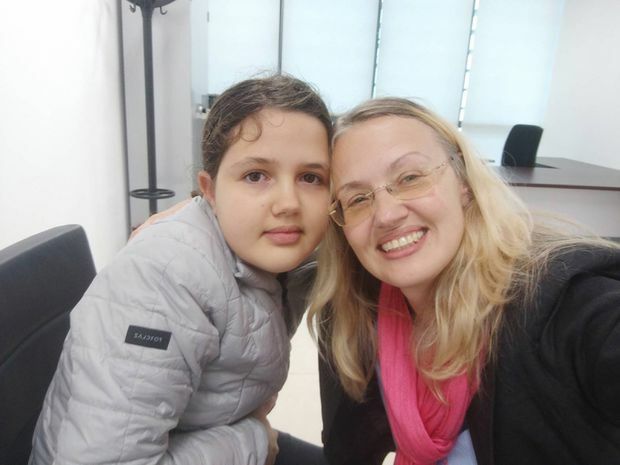 Four days after the girls had left the country, Ms. Danilina reached her older daughter on Skype. Rita told her mother that they had not travelled to Morocco, but rather to Sharjah. Mr. Squalli entered the picture to say, “This is their home now,” adding that if Ms. Danilina wanted to discuss the matter, she would have to come there. The next day, Ms. Danilina hired a lawyer. With luck – a word that hardly applies here – the abducted child has been taken to a country that is signatory to the Hague Convention. Founded in 1980, the Hague Convention was designed to create a legal framework for the prompt return of abducted children. Canada was one of the first four countries to sign on and, this February, Guyana became the 100th country to join the Hague fold. In theory, abductions involving Hague Convention states are the easiest to remedy. The nine-page convention provides a clear legal foundation on which courts determine the central issue: the children’s habitual residence prior to the abduction. Once that determination is made – “using the most expeditious procedures available” – the child is to be returned to that jurisdiction. Any subsequent questions of custody and access are to be settled there. “Forum shopping” is what lawyers call abducting parents’ practice of taking their children to “favourable” jurisdictions. Non-signatory Hague countries – most of Africa, the Middle East and Asia – are ideal for this purpose. The UAE, where Mr. Squalli had taken his daughters, is not a signatory to the Hague Convention. Nonetheless, Ms. Danilina’s lawyer filed an urgent motion at an Ontario Superior Court, applying for a custody and return order that was issued the following day. And then a waiting game began, premised on the hope that Mr. Squalli would eventually travel with the children to Morocco, a Hague Convention member since 2010. The strategic positioning and posturing of parents during an abduction feels like a sinister chess game. Ms. Danilina tried to maintain friendly contact through Skype and WhatsApp with her husband and children. In June, Mr. Squalli told her he would be taking the girls to Morocco. Working with a colleague in Casablanca, Ms. Danilina’s Toronto lawyer arranged to have a travel ban placed on the children once they entered Morocco and to begin Hague Convention proceedings: a standard process in which the “central authority” representing the left-behind parent (in this case, Ontario’s Attorney-General) contacts the “central authority” of the country where the abducted children are (in this case, the Moroccan Ministry of Justice). Meanwhile, Ms. Danilina packed her things and headed to Casablanca. She rented a furnished apartment and found a teaching job at a language school. She’s been there ever since. She and Mr. Squalli attempted mediation – unsuccessfully – before proceeding to the courts, which have all ruled in Ms. Danilina’s favour; the Moroccan courts of first instance and appeal have thrice ordered that Rita and Maria be returned to Ontario. No parent who deliberately drives a wedge between a child and its other parent can honestly claim to be acting in that child’s best interest. But the tactic is effective. In January, a Moroccan prosecutor ordered that Mr. Squalli execute the return order and fly with the girls and their mother back to Toronto. Flight tickets were purchased by both parents and a meeting arranged at Casablanca’s Mohamed V International Airport. “It all started well,” says Reda Oulamine, Ms. Danilina’s Moroccan lawyer, who accompanied his client to the airport that day. But as Ms. Danilina was checking in, Mr. Squalli phoned and asked her to come outside. “Then a movie started,” says Mr. Oulamine, describing a scene “unlike anything I have ever seen before.” Both girls were screaming and crying, refusing to enter the airport. “I don’t make this kind of accusation lightly,” the Moroccan lawyer says, explaining that he is convinced the girls were "instructed to do that by their father.” Mr. Oulamine called a local prosecutor who advised him to let the girls go back with their father. “Nobody wants to handcuff a child and force them on a plane,” Mr. Oulamine says, adding that that was precisely what the situation required. According to Farrah Hudani, Ms. Danilina’s Canadian lawyer and a leading expert on the Hague Convention, it should never have come to this. “You don’t allow an abducting parent who has had sole possession of the children for nine months, to bring them to the airport,” she says. She explains that in a comparable situation in Canada, a transfer of the children would have taken place prior to departure, on neutral ground – such as a courthouse – and likely in the presence of a judge. It felt like a dead end. And the right time, in Ms. Hudani’s mind, for a friendly call from the Canadian central authority to the Moroccan, reminding it of its obligations under the Hague Convention and pointing out that court orders aren’t worth much if they’re not enforced. If that call has been made, the Moroccan authorities don’t seem to be listening. 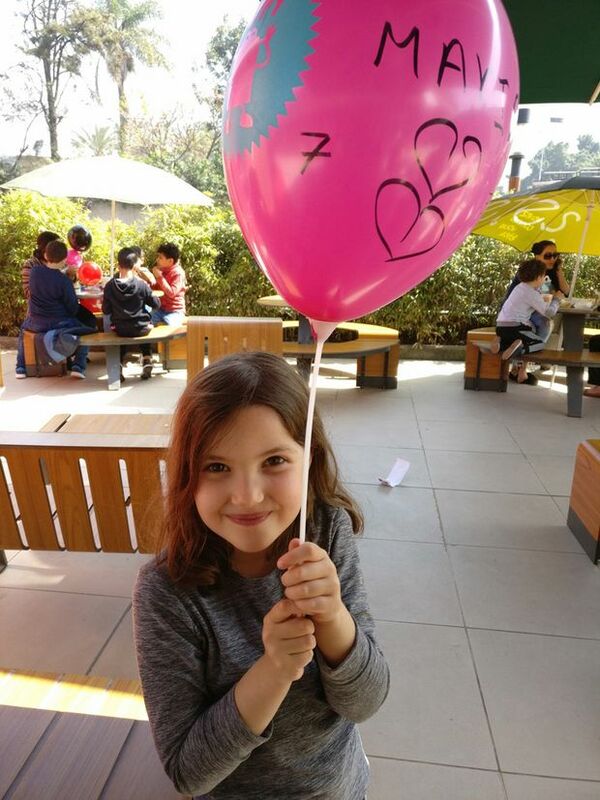 Maria Squalli at a Casablanca McDonald's in March, 2019, where she celebrated her seventh birthday. Ms. Danilina brought her daughter doughnuts and a Barbie doll. As international family-law expert Mr. Lowe explains, initiatives by some states to build an enforcement provision into the Convention have been quashed by others. Instead, the Convention offers a “good practice guide” on enforcement: instructive but toothless. Mr. Lowe, a retired barrister and professor of law at Cardiff University in Wales, fears that cases such as Ms. Danilina’s – in which return orders are being flouted – may be more common than anyone would like to think, but there’s no way of knowing. His statistical analyses of the Convention over time have used the metric of return orders, not actual returns, as these are virtually impossible to track. He points out that the notion of “contempt of court” – which exists in systems of common law such as Canada’s, but not those based on civil law, such as Morocco’s – is critical: Parents are more likely to comply with an order if they know that breaking it may land them in jail. But none of that helps Ms. Danilina, or anyone in her situation. So what are they supposed to do? Left-behind parents need a lot of help. They need financial support that goes beyond whatever their family and GoFundMe page cough up. And they need a government that’s on their side – not just offering advice and legal expertise but advocating for them. Tirelessly. Ms. Danilina’s primary government contact is a case worker at the Ontario Ministry of the Attorney-General. She’s also in touch with one of the two counsel that handle all Hague Convention files that Ontario receives (there were 57 in 2018), a legal counsel at the federal Ministry of Justice, and case workers at her local MP’s office, at the “family unit” of Global Affairs’ headquarters in Ottawa and at the Canadian embassy in Morocco. Ms. Danilina says all government officials she’s dealt with have been sympathetic but she feels they don’t grasp the urgency. Ms. Danilina is now waiting to learn the outcome of her daughters’ psychological assessment, aimed at determining what role Mr. Squalli has played in Rita’s unwillingness to return to Canada. The Moroccan authorities are insisting on an amicable resolution. Meanwhile, the clock keeps ticking. “The key to these cases is speed,” Mr. Lowe says. The longer that legal limbo prevails, the stronger the abductor’s claim that a child has become established in that jurisdiction, or that – as Mr. Squalli has insisted – the child requires psychological evaluation to determine its best interest. And as time passes, the legal waters get muddier. Three weeks ago, Ms. Danilina received notice from a sharia court in the UAE that Mr. Squalli is seeking a divorce and sole custody there. Canada’s average resolution time of 129 days is better than the global average of 164, but it isn’t good enough. Every day counts, not just in terms of the emotional and financial toll, but also the outcome; the number of returns ordered in Hague Convention cases drops precipitously after the 90-day mark. Toronto-based family lawyer Michael Stangarone, who has handled more than a hundred child-abduction cases, including a recent uptick in international ones, says he has sometimes had to wait a month to have a motion heard in an Ontario court and has watched cases that should be settled in one sitting turn into multiday trials. He would like to see family courts consistently flag and expedite all child-abduction cases. Delays in foreign courts are trickier. The Hague Convention compels member states to provide an explanation for proceedings that extend beyond six weeks. But as cases drag on for weeks, months and sometimes years, Mr. Stangarone feels the Canadian government has a responsibility to work its diplomatic channels. Farrah Hudani, Ms. Danilina’s Canadian lawyer, worries that drawn-out cases “lend themselves to such mischief,” offering hope and even incentives to abducting parents. The desperation, helplessness and rage that left-behind parents must feel is unimaginable. It’s also exploitable. A shady underworld of mercenaries advertise their services, offering, according to one website, to “effectuate your child’s safe return” with “a team of special operatives.” All for a price, of course. Several left-behind parents I spoke to had contacted – or been contacted by – such “private recovery agencies” that owe their existence to judicial impotence and government inaction. Left-behind parents also contact their prime minister. In May, 2016, Justin Trudeau had a private meeting with B.C. mother Alison Azer. Nine months earlier, her four children had been taken on a so-called European vacation by their Kurdish-Iranian father Saren Azer. They never returned, travelling instead to what was then a war zone in northern Iraq and later, to Iran. Describing her conversation with Mr. Trudeau to Maclean’s, she said, “There were times in our interview where I did feel I was speaking to the head of government, and there were times where I knew I was speaking to a father.” She felt reassured. The Prime Minister committed to keeping her file on his desk until her children were brought home. Presumably, it’s still there. It’s only fair to assume that the Prime Minister genuinely wants abducted children back, but that it’s not an easy fix – or even one that he should publicly take on. The perception that abduction cases ultimately reside with the prime minister turn them into political footballs in the House of Commons. During a heated debate over the Azer case, then-Foreign Affairs Minister Stéphane Dion notoriously made a thumbs-down gesture – aimed, he later explained, at the opposition Conservatives and not at the aggrieved mother, to whom he later apologized. It was the culmination of a spat that saw Conservative MPs faulting the Liberals for not taking Ms. Azer’s case seriously and Liberal MPs faulting the previous Conservative government for breaking off diplomatic ties with Iran. Alison Azer, shown in 2016, has been pressing the Canadian government to help return her four children, who were taken by their Kurdish-Iranian father, Saren Azer. The children, clockwise from top left, are Desim, Sharvahn, Meitan and Rojevahn. These fruitless exchanges, sandwiched between discussions of the small-business tax and employment insurance, are demeaning of a human tragedy. International child-abduction cases shouldn’t be pitched around the House of Commons; they should be resolved behind closed doors. Only the families involved need to know the details. Global Affairs won’t comment on specific cases, but spokesman Richard Walker calls child abductions “one of the most difficult consular situations that the Government of Canada responds to.” That response needs to be re-examined. Twenty years ago, in April, 1998, the then-standing committee on foreign affairs and international trade presented a report titled International Child Abduction: Issues for Reform. It made 14 recommendations on how the federal government could improve its handling of these cases. One was to beef up security checks on parents travelling alone with children, in conjunction with airlines and border-control agencies both here and abroad. In a decade of trans-Atlantic flights with my children, I have only twice been asked to present written evidence that I have their father’s blessing – once entering Germany, once re-entering Canada. Among the committee’s other recommendations: eliminating delays in court proceedings, examining compliance with the Hague Convention both here and abroad, establishing a national database on the incidence of abductions, and providing financial aid to left-behind parents. The Ministry of Justice provided no response to the question of what progress – if any – has been made since then. Certainly, the legal aid and database have yet to materialize. Canada could learn from other jurisdictions. Most European countries offer legal aid, lawyers and, in some cases, Crown prosecutors to parents who are making return applications under the Hague Convention. Britain handles more than twice Canada’s volume of Hague cases and does so, on average, in 39 fewer days. There, an all-party parliamentary group on child abduction monitors their incidence and handling and takes the partisan sting out of discussions of specific cases; Mr. Lowe, whose career has spanned the lifetime of the Convention, can’t recall a single case in which the British prime minister has intervened. The British government also funds a Leicester-based NGO called Reunite that offers psychological support, legal advice and mediation services to more than 500 parents of internationally abducted children every year. But Canada could also learn from its own citizens. “We need more than just encouragement,” Ms. Danilina says. She wishes her government could help cover her legal costs, provide one point person to actively advise her, rather than six whose answering machines she can leave messages on, and offer her children some form of social support, postabduction. For her, that moment remains a matter of when, not if. In response to an e-mail requesting his perspective, Mr. Squalli provided a strongly worded condemnation of Ms. Danilina as a wife and mother. He denies that the family’s intention was ever to stay in Canada, and claims that his wife had agreed to a return to the UAE. He states that the case is a private matter that involves innocent children, and insists he has complied legally at every turn. For his part, Mr. Squalli says that his wife turning to the media is “a desperate attempt to spread falsehoods” and insists that the matter should be “resolved through the proper legal channels” – his optimism is apparent, that the system will ultimately rule in his favour. It’s easy to think in those terms: his or her favour. But at the core of these cases are the children whose voices get lost, or brutally corrupted, in all the din. In its own words, the Hague Convention seeks to “protect children internationally from the harmful effects of their wrongful removal.” It does not set out to judge parents, but rather to send children home. If that home is Canada, then Canada has a responsibility to make it happen – and fast. With every passing day, the chances of a just outcome in Ms. Danilina’s case diminish, as the emotional wounds deepen. During a recent visit with her daughters, she explained to Rita that there are certain things children shouldn’t be burdened with, to which her 11-year-old daughter responded: “But I’m not a child any more.” For how many stolen childhoods is Canada at least partly to blame? In February, Ms. Danilina travelled from Casablanca to Toronto to receive her Canadian citizenship. The ceremony, which she describes as “warm and moving,” took place in a Service Canada building in Scarborough. The two chairs next to her – each holding a little Canadian flag and a welcome package, one for Rita and one for Maria – stood empty. She offered them to another family.